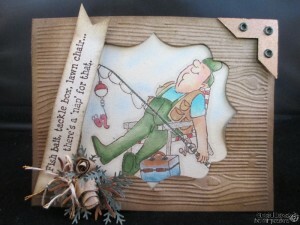 Today I am doing a masculine card , this can be a birthday card or what ever you choose to make it. 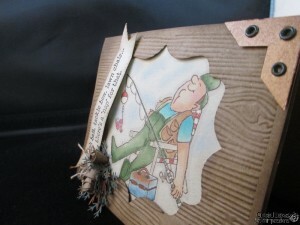 For me I love to add lots of bling or sparkle or when doing a masculine card it’s a little bit of a challenge for be not to bling it up .So today I am using Catching some Z’s sku# 4161. 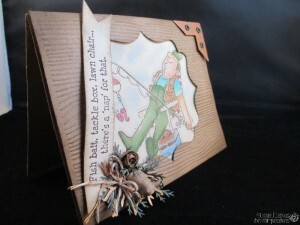 I added a sentiment banner and made some pinecones added a few fern branches and twine bow , the upper right i added a photo corner with eyelets , I inked with TH frayed burlap to bring out the woodgrain. Wow! 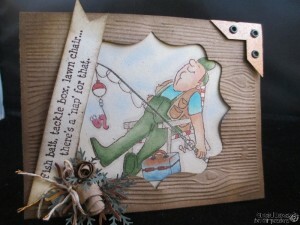 The wood grain embossing made the card come to life. Love the detail in the corners. 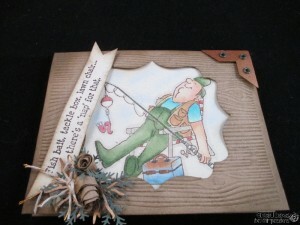 It is a masculine card but you added your creative touch with all the detail.